Nord Fecht is a cyclic fencing event taking place in Rotmanka near Gdańsk. It has been organized since year 2013 by Association for Historical European Martial Arts “FECHTSCHULE GDAŃSK”. Event’s program includes at minimum two workshop blocks regarding miscellaneous melee weapons (longsword, sword and buckler, sabre, halberd or dagger), a Fechtschule ceremony and experimental longsword tournaments. 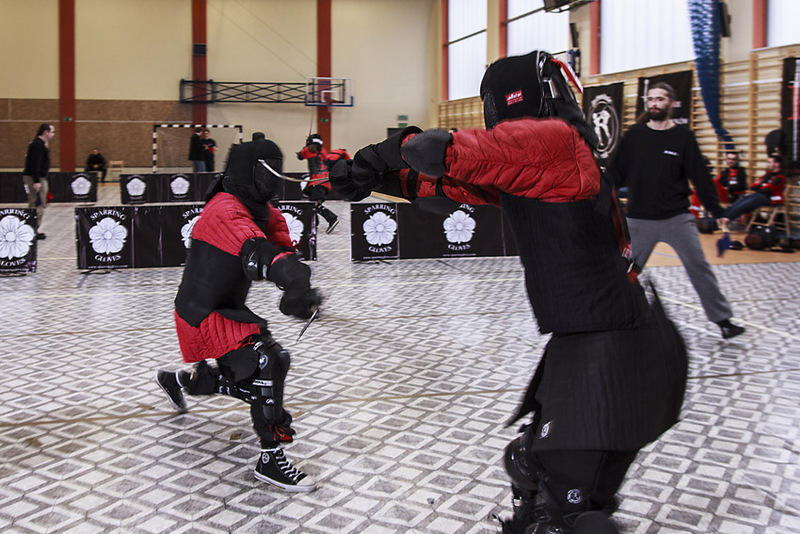 The main purpose of Nord Fecht tournaments is to create a system that would make fencers respect the rule “kill and don’t get killed”, where double hits are penalized and clean fights rewarded. Between year 2011 and 2017 (with break in 2014) the event in Rotmanka was pleased to host fencers from all around Poland, environments outside of HEMA and numerous guests from abroad including Sweden, Norway, Czech Republic, Slovakia, Ireland, Germany and Great Britain. In 2016 during Fechtschule ceremony there was a precedent on whole Polish HEMA scale – two fencers were honoured as worthy of Fechtschule laurel. Because of this nuisance the wreath had to be … cut in half! Nord Fecht enjoys a particularly great interest due to a very diverse program and friendly atmosphere. And due to lard. Yes – lard, prepared in 10 litre pot for two days only for this occasion.